West Street, built on the former field known as Seward's Close (Parcel 610) was part of a development started along the very edge of the municipal boundary in the late 1890s by local businessman, town councillor and local 'character' Levi Beer. At the time it was built today's West Street was actually planned as a continuation of Beer Street which Levi Beer had, of course, named after himself. He was also responsible for building Orchard Street, named after Daniell's Orchard (Parcel 609) on which it was built. That part of Beer Street now West Street appears on the 1901 Ordnance Survey (shown below) as a dotted line indicating that it was either proposed or under construction. At this time Orchard Street was also under construction and nearing completion but Westland Road, of course, didn’t exist. As a consequence Beer Street was planned to continue north to join up with Huish which ended at the junction with Grove Avenue with fields beyond. 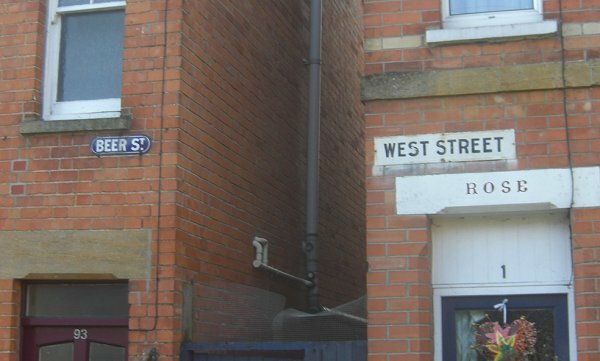 This northern section of Beer Street, between Orchard Street and Huish was later to become West Street and its houses were built in 1906, after the Municipal Boundary was extended two fields westwards in 1904. 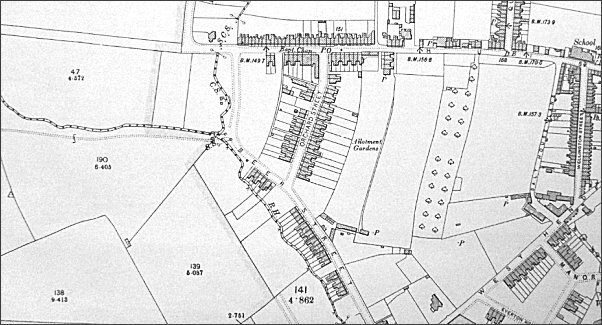 Looking at the 1901 Ordnance Survey below, it will be seen that a small terrace of houses were built in what is now the south-western corner of West Street, although only the northern house of this original terrace now survives. 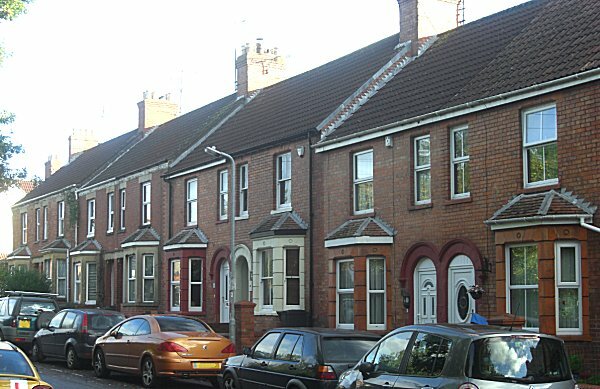 Because this terrace of houses was originally built in Beer Street, West Street does not actually begin at the junction of today's Beer Street / Orchard Street / Westland Road, as most people would assume, but technically begins north of the original terrace as shown in the last photograph below. The reason is that Levi Beer didn't acquire the field, Seward's Close, until after the short terrace ending with No 93 Beer Street had been built for a few years. During the Second World War an ARP warden's post for twenty four wardens, designated as Post R, was located on the ground to the west of the junction of West Street with Huish. The 1901 Ordnance Survey showing Beer Street running from its junction with Huish at top to West Hendford, just off the bottom of the map. That part which is today's West Street was simply at the planning stage. 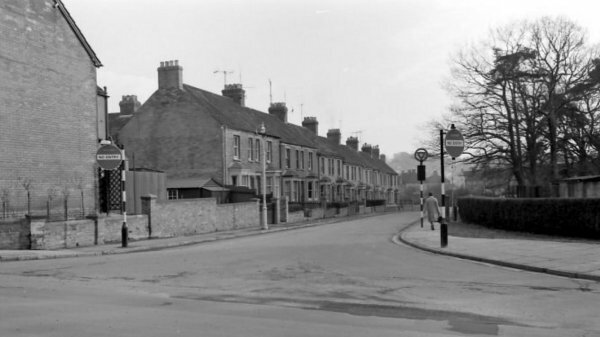 West Street seen from the junction with Huish in the mid-1960s. The street has probably not been this free of parked cars since! 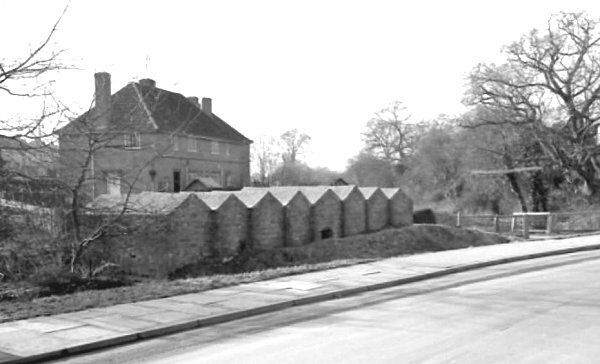 During the Second World War an ARP warden's post for twenty four wardens, designated as Post R, was located on the ground behind the hedge at right. 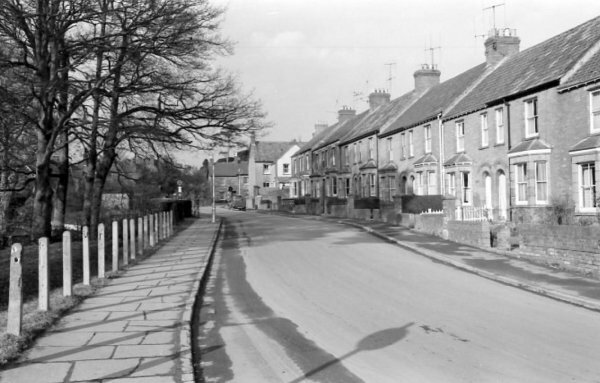 This photograph was taken at the same time as the one above but from West Street looking back towards Huish. The houses here were built in 1906. The same terrace of houses photographed in 2013. Strangely the junction of Beer Street and West Street is not at the junction with Westland Road / Orchard Street, but three houses into what most people would think of as West Street. The reason is that Levi Beer didn't acquire Seward's Close until after the short terrace ending with No 93 Beer Street had been built for a few years.